"I owe this medal a lot to [Reese Witherspoon] and to my mom. But, like, more to Reese in a way, ya know? Because she has more followers on Instagram." The Olympics only happen every four years and they are arguably the highlight of those years. It's the one time that a varied field of events are celebrated and broadcasted on national television. Although they aren't over yet, there already have been a lot of memorable moments. 1. Red Gerard winning the first gold medal for the U.S. and swearing on live TV. NBC might regret microphoning athletes after this one. The first U.S. gold medal was handed out on the second day of events to one of the youngest American Olympians this year. Red Gerard won the gold in Men's Slopestyle, but almost missed the event. Gerard nearly overslept after binge-watching Brooklyn Nine-Nine, lost his ski jacket, and was deducted heavily for his first two runs for falling. 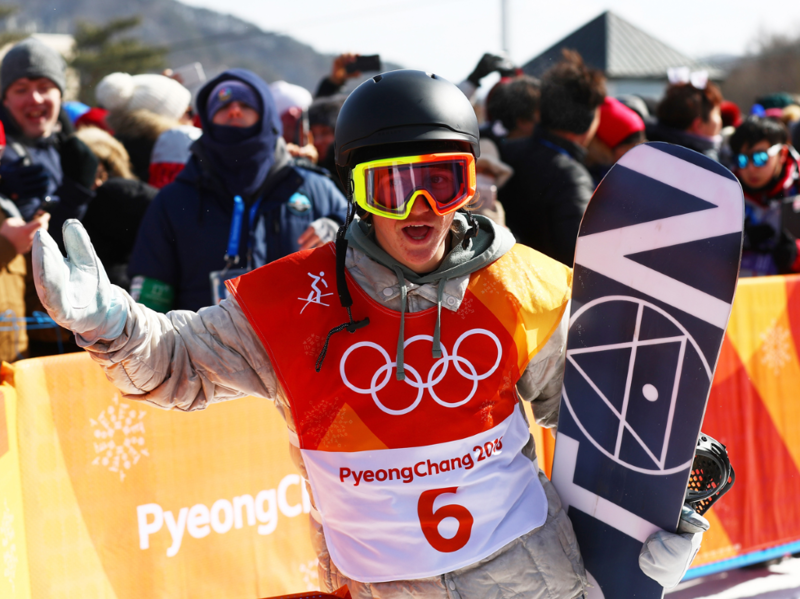 He nailed his third run to clinch the gold and then dropped an f-bomb on live TV. He admitted that his entire family was enjoying themselves on the sidelines and spent a lot of their day shotgunning beers. It does not get any more American than that. 2. Anything Adam Rippon did. If you haven't heard yet, it's twenty-gay-teen and what way to celebrate with the first openly gay, American Olympian. This is Rippon's first time at the Olympics and he has already made a name for himself by helping Team USA secure the bronze in the figure skating team event. He also has shaded Mike Pence by refusing to meet with him as the Vice President headed to PyeongChang to support Team USA, citing his support of conversion therapy and generally just being a bigot. 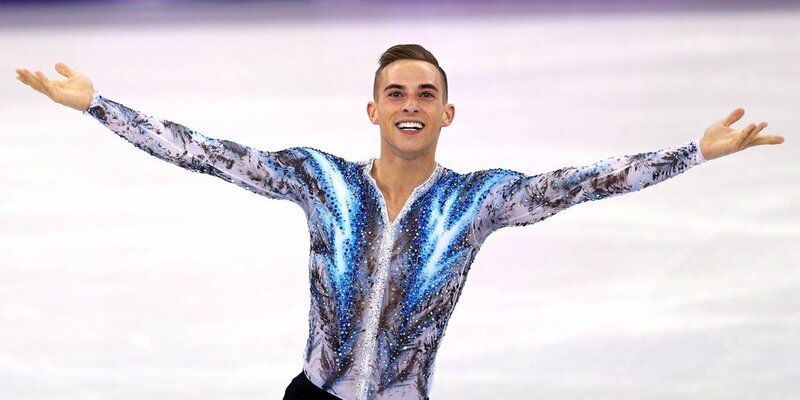 Adam Rippon is arguably one of the more relatable Olympians and is a joy to watch skate. He is living his best life at the Olympics and truly deserves all of the recognition he is getting. Not even the sharp words and "fake news" from Donald Trump Jr. or Mike Pence can stop him from going from the gold. 3. Mirai Nagasu landing a triple axel. 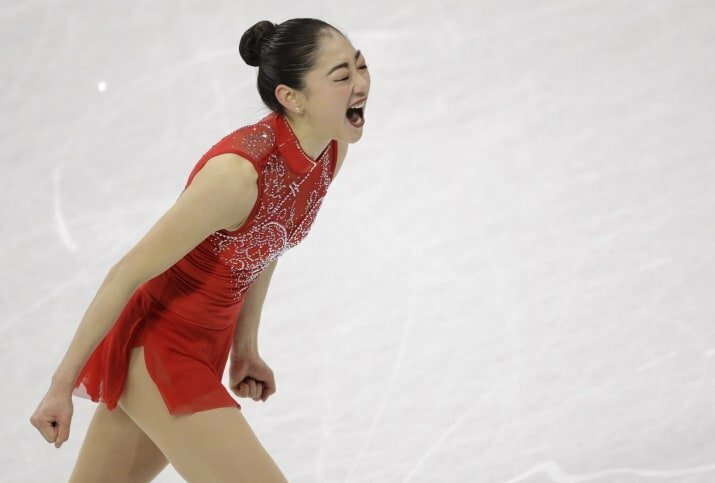 Nagasu made history by being the first America woman to land a triple axel during the Olympics, and the third woman overall to land the jump in Olympic history. The rest of her program was also flawless and finished her routine with a new personal best score. 4. A Finnish coach stress-knitting while waiting for his athlete to compete. Olympic coaches get stressed too. If you're going to be stressed, at least you can get a nice blanket out of it or something. 5. 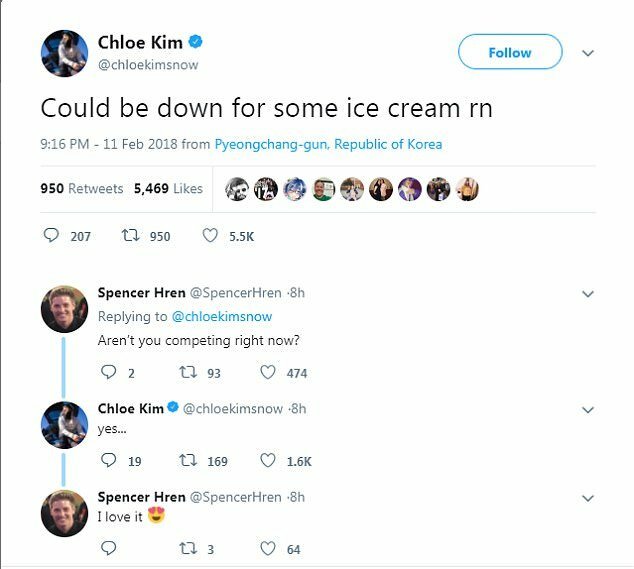 Chloe Kim hunger-tweeting in between runs (and then winning gold). Chloe Kim, who is also only 17, represents Gen Z by sending tweets about food while waiting to compete in the Women's Halfpipe finals. Not only did she tweet about wanting ice cream, but also about regretting not finishing her breakfast sandwich that morning. She won the gold regardless of her hanger. Do you, Chloe. After all this training you definitely deserve some ice cream. 6. 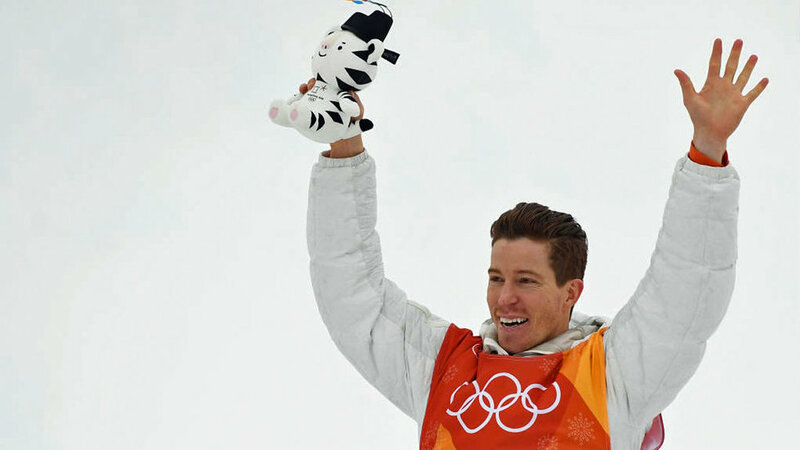 Shaun White winning his third Olympic gold. Shaun White is the GOAT of Men's Halfpipe. After dropping out of Slopestyle and failing to medal during the Sochi Olympics, White came back with a vengeance. With only a point difference between himself and Ayumu Hirano from Japan who sat in first place after their second runs ended he had to do the absolute most to secure the gold. He nailed back to back 1440's which he had never done before during a final. His third gold medal was also Team USA's 100th gold medal in the history of the games. The Olympics continue on during February and are sure to have many more inspiring, hilarious, and relatable moments. Team USA has definitely brought their A-game and I will definitely continue to tune in every night to catch the action.